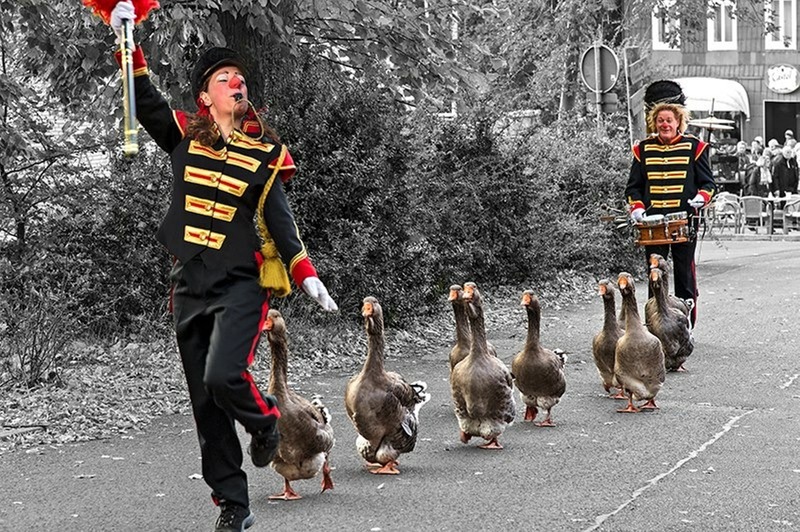 With roll of drums, whistling and quacking they march through your town: The Geeseparade. A unique combination of man, music and… Toulouser Geese. They spell and stagger. Is this real, is this a dream, a vision, a fantasy? With the authentic Toulouser Geese this ancient tradition is kept alive. This happy, beautiful and of course animal friendly act puts a smile on everybody’s face.